Last week’s column dealt with the legacy Alfred Nobel left in creating the Nobel Prizes in his last will and testament. He drafted that will himself, without the assistance of a lawyer. It was handwritten and short. By drafting his will himself he left a second legacy: a five-year battle that wrangled its way through the courts, the salons, and the political offices of Europe. When Nobel’s will was read, his nephews and extended family were displeased to say the least. His fortune was immense by the standards of the day, and they were left very little of it. If the will were invalid, they would be fantastically wealthy. 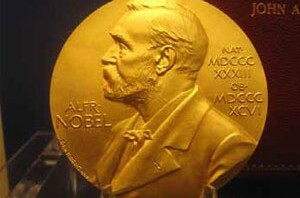 The Swedish Academy of Science and other organizations charged with giving out the prizes were unhappy as well. The will gave them little or no guidance onhow the prizes were to be given out. One of them, the Norwegian Storting, being the equivalent of their parliament at the time, was particularly unhappy. It was given the task of giving out the peace prize, which was thought to be a political hot potato. The executors were unhappy. One was a chemist and business owner who was too busy with his work todevote time to unraveling the mess. The other, Rangor Sohlman, was only 25 years old. Neither had any legaltraining or experience in the area. The burden of the job fell to Rangor. It took years to hammer everything out. The will was dragged through the French courts. King Oscar II of Sweden intervened, trying to influence the process, and had to be rebuffed. The young executor, Rangor, had to smuggle valuable securities and other documents out of France at one point, simultaneously evading French taxation authorities and the Nobel family. He achieved the feat by fleeing Paris to a seaport in a horse-drawn carriage with a loaded pistol resting on the seat at his side. The Attorney General of Sweden had to be asked to intercede, and issued a ruling that the will, while not drafted properly, ought to be enforced by the Swedish Government. The Swedish Academy, the Storting, and other organizations had to be convinced to take on the job of awarding prizes, and the rules had to be formulated and agreed to. Finally, the Nobel family had to be bought off in a hefty out-of-court settlement. It took five years before the will could be given effect, and another year before the first prizes could be awarded — six years of uncertainty, and acrimony, and lawyers, and courts. A lawyer might have helped. The will, because it was improperly drafted, was easy prey to court challenges. It was deficient under the laws of every court that looked at it. It was no small feat on the part of Rangor tohave muscled the will into operation. This is a classic example of the old adage “penny wise but pound foolish,” or, here, “penny wise and crown foolish.” Nobel had the money to hire a team of lawyers, and to carefully put proper arrangements in place in advance. His failure to do that jeopardized his vision, saw a chunk of wealth go astray to buy off disgruntled family members, and filled the coffers of the lawyers involved. All of a person’s wealth passes through their estate plan. It is one of the most important legal structures a person ever puts in place. Yet many people search for the cheapest, off the rack, estate plan they can find. Or, like Alfred Nobel, they do it themselves. Businesspeople, who would think nothing of a $30,000 legal fee toacquire a significant capital asset, will sometimes balk at having to spend $5,000 or $10,000 to structure the conduit that is destined to pass the whole of their fortune to their children. They shop until they find a lawyer who is willing to do it for next to nothing. Then they proudly bring home a used and dented estate plan from the legal bargain-bin. No one profits by that, except the lawyers when the wrangling begins. Next week’s column: An estate plan gone to the dogs.